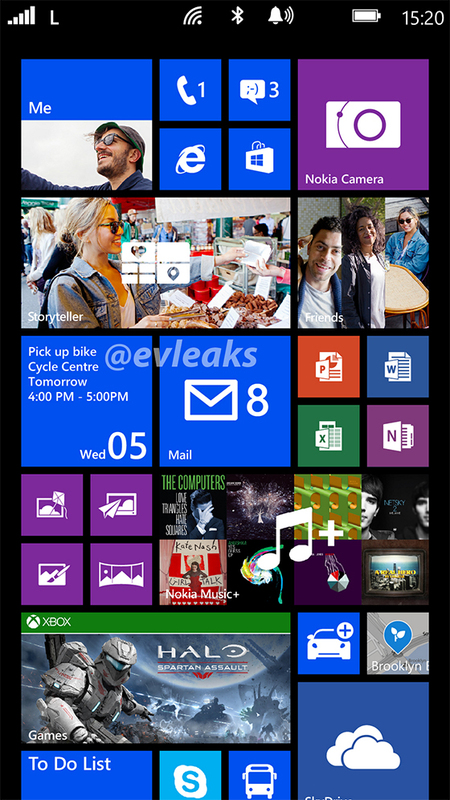 Microsoft is currently preparing a Windows Phone 8 update to support 1080p devices, but a leaked screenshot has revealed just how the Live Tile user interface will scale to upcoming large-screen devices. Twitter account Evleaks posted the Windows Phone screenshot earlier today, and The Verge is able to confirm its authenticity. It shows the tiled arrangement with an extra column to the far right, and extra room for additional rows of pinned applications. From two to three columns, from clean to cluttered.